If you haven’t taken a ride with mega transportation giant Uber, I ask you, what are you waiting for? If you haven’t heard of the company, I say, pay attention! Uber, by all accounts, is one of the most progressive marketers out there, rising through the transportation ranks one risk at a time. Its efforts have never been futile as the company shot to fame in 2009 and then internationally in 2012 with a mobile app as its backdrop. Setting the stage for a company that truly offered something different, Uber has differentiated itself from traditional cab services by giving riders what they didn’t know that they wanted, along with a few surprises mixed in. While Uber can easily be considered the leader of mobile transportation, it hasn’t been without controversy. Some good. Some bad. Whether it is fighting for its legal rights in California or delivering kittens direct to you, Uber is always up to something that is guaranteed to turn heads, create smiles, and most importantly gain riders. 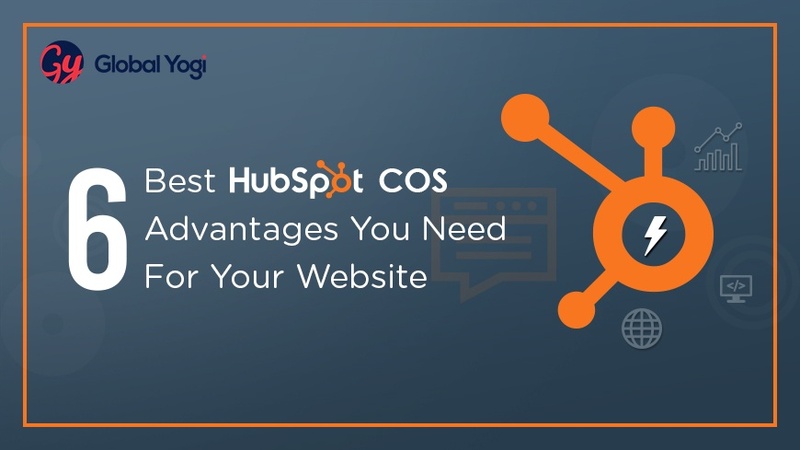 It’s off the beaten path to marketing may surprise you (or intimidate you), but one thing is certain it will engage you, help you think outside the box, and look at your marketing strategy in a whole new light. So, without further ado, let’s take a look at Uber’s marketing strategy over the course of its business history. You could say that Uber’s marketing efforts were humble in the beginning as it started by leaning on the tech industry in Silicon Valley. 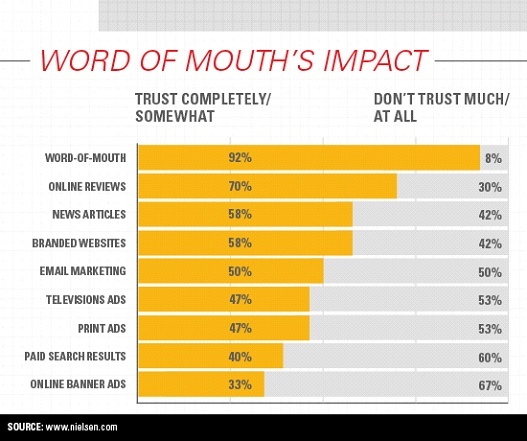 It knew early on that word-of-mouth was a strong form of advertising and it rewarded those that bought into its concept with free trial rides. Uber was quick to garner the attention of the tech industry crowd and began sponsoring their events, making a name for itself in what was at the time a new approach to gaining market share and getting the name out about the company. The results paid off as riders took notice in California, and began to use the service, allowing the company to expand in other markets and then around the world. As this was just the start! 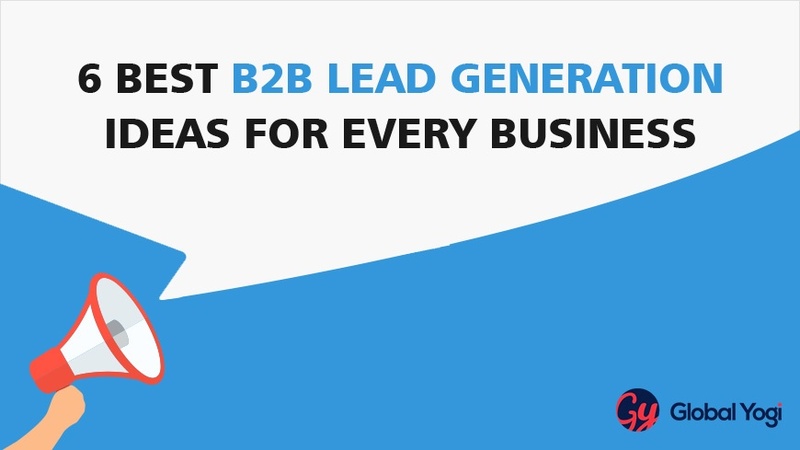 The company also began to rely heavily on referrals which are still a huge part of its business today. By referring a friend to Uber, riders would get credits towards free rides, hooking people into the idea of using the service more often, and recommending it to another. 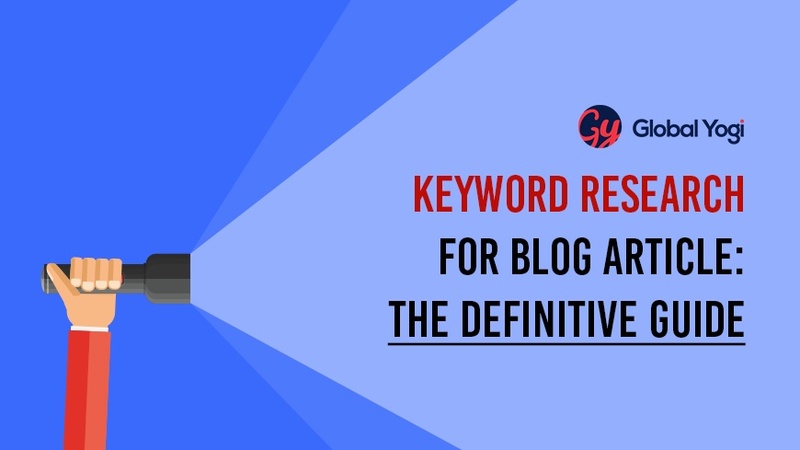 This help to create a generous super fan base for the company and was a Uber marketing strategy that was destined to grow its business even more. Frequent riders were rewarded, and because of this, they were quick to tell everyone they knew about the company -referring friend-after-friend which only helped to fuel Uber’s revenue base. Think about it! How did you first hear of Uber? Was it recommended by a friend? Most likely it was, which shows the power of a satisfied customer that get something in return for their business loyalty. Uber made its referral business even stronger by allowing drivers to get in on the action as well. This gave special incentives to them for referrals as well. Because, the referral program was so prosperous for the company, it is still an integral part of Uber’s marketing program today. We all know the value of an online review. It can make or break your business. Because of this, some companies have been reluctant to offer consumers the ability to rate their experience much less the person that helped them. And, they certainly wouldn’t make it public information for the world to see. This is where Uber’s marketing particularly shines as it is able to give power to the customer and allow them to rate their driver as well as select their driver based solely on what others have said. Now the power was with the people! This made drivers be on their best behavior while creating a relationship of trust with the rider. A trait that is hard to come by in today’s expansive marketplace. Turning the tables, Uber also allowed its drivers to rate the customer – something that is typically frowned upon as the customer is always right no matter the situation. Riders ate it up and literally became the role model citizens that Uber knew they could be. As the Uber marketing strategy progressed, so did the creativity in those ideas. You literally couldn’t predict what the company was going to do next and you almost looked forward to the outlandish promotions they announced. Did anyone say kittens? 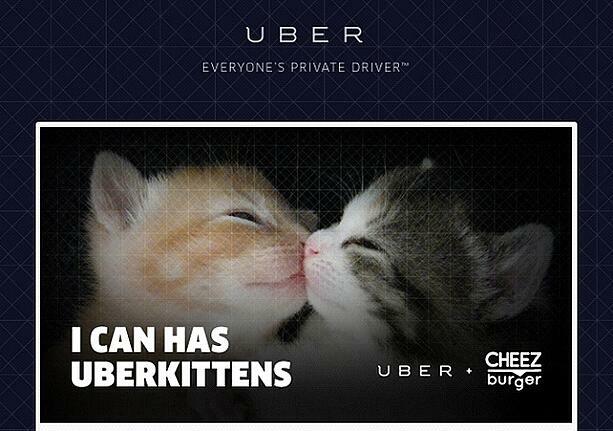 Cute, cuddly, and the perfect way to unite cat lovers around the world with Uber. As crazy as the promotion seemed, it worked! Kittens direct to you. What more could a customer ask for? They didn’t know either. There was also ice cream (because who doesn’t like ice cream) and the opportunity to ride with famous musicians like Diplo (Revolution, anyone?). No one else was doing what Uber was doing to garner attention, gain market share, and make its riders happy. The company was willing to take risks, which seemed to land them on their feet and make the impossible possible with the Uber marketing strategy. The Uber marketing strategy also took into account the value of business partnerships and the ability to leverage their customer base with its own. It partnered with Capital One by providing discounted rides for its credit card holders and Starwood Hotels to provide hotel points to frequent riders. 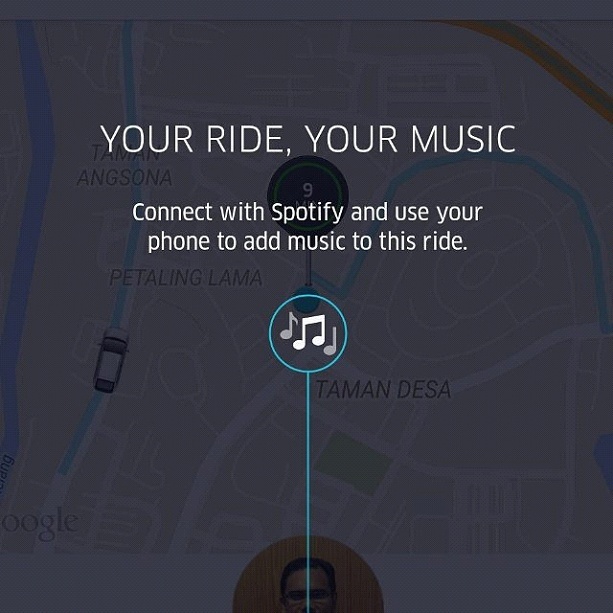 It took the whole rider experience to a new level by teaming up with the ever-popular Spotify to create a customized playlist that a rider could listen to while they were on the way to their destination. It seems that the company thought of everything at this point, yet there was still more to come. PRO TIP: Business partnerships can build brand recognition faster and more effectively. Everyone wants to feel important, and Uber rewarded its most loyal of customers with a VIP program. This showed appreciation to the riders that had racked up 100 rides and allowed Uber to say, “thanks for the loyal business, keep coming back.” And, they did, because they wanted more free rides and to keep their VIP status with the company. 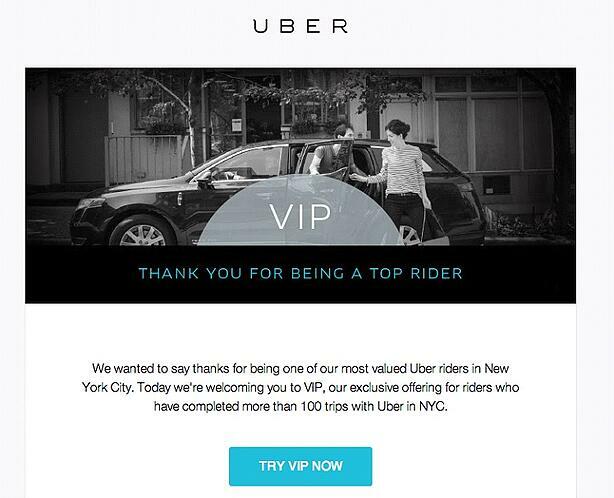 This provided the Uber marketing campaign, the ability to celebrate the rider and let them know that they were valued. Plus it allowed them to be a part of a special club from the company, giving them priority and recognition for their frequent use of the Uber service. 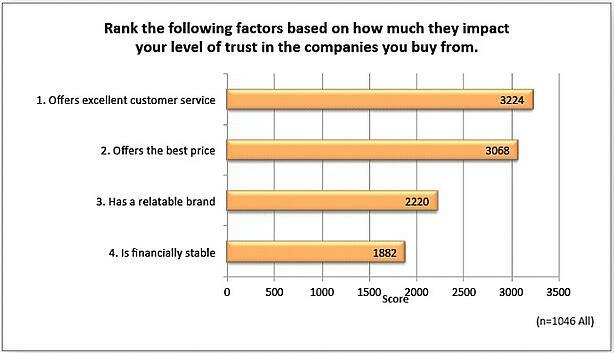 PRO TIP: Trust is the most important factor in building loyal customers. 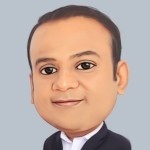 What the Uber marketing experience did better than anything else was change the way that taxi services operate. While the notion is the same, get a rider from point A to point B, how Uber went about doing this changed everything as we know it. It was made more convenient than ever to get a ride, pay for a ride, and select what you wanted to ride in. By using a mobile app, Uber allowed for digital payments, online hailing, and the ability to select the type of vehicle to ride in. Now, the rider had choices and with a no tip structure, it was uncomplicated. There was no pressure, no stress, no anxiety. It was simple, tailored to the rider, and easier than ever to use. Transportation was literally in the palm of the rider’s hand, and everywhere they went – making it accessible and convenient. This part of the Uber marketing strategy literally changed the face of transportation and paved the way for competitors like Lyft to enter the transportation industry. Add Facebook Messanger to the mix, and you really have a recipe for a winning marketing program, which is exactly what Uber did. But, Uber couldn’t rest on its laurels. PRO TIP: Solving a customer problem can help build growth in your business. Building on the success of its transportation service, the company added UberEats, a direct food service, and UberHEALTH, a direct medical service. It added UberRUSH, a delivery service, and UberEVENTS; you guessed it, an events service to its portfolio. The options seem endless when it comes to bringing customers the convenient services they want without delay. The Uber marketing strategy is sure to add even more direct-to-the-customer services. Can you say UberSHOES? We can dream, can’t we? While Uber is still a young pup in its business history, when it comes to its marketing experience it is a veteran of many years. It has shown that it has the prowess to do the unexpected and keep changing the landscape of the Uber marketing strategy to keep riders loyal, on their toes and satisfied with its services. What’s next for Uber? Your guess is as good as mine, but one thing is for certain, it will exceed your expectations and deliver in a way that no one else has. We will be waiting! If you like what you have read here, you’ll love what you see from our marketing consultants. 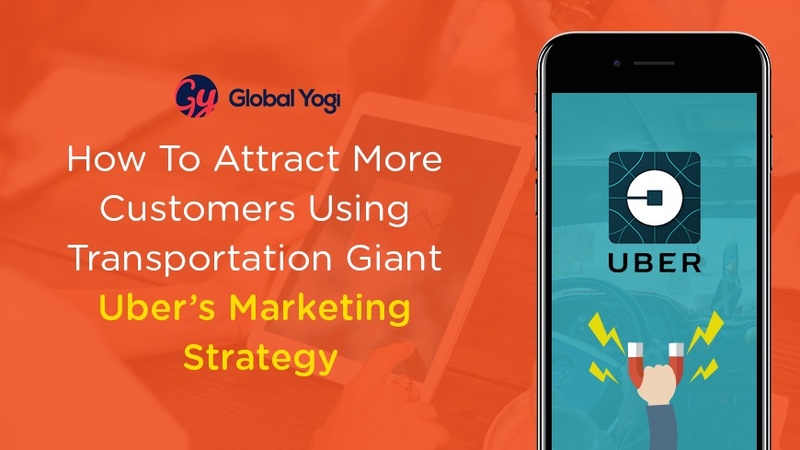 The GlobalYogi Labs can help you develop your company’s marketing strategy so you can become the Uber of your industry.